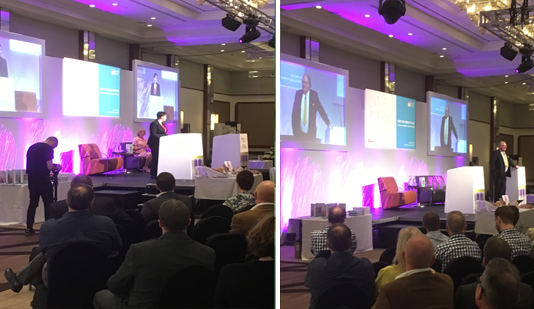 Stewart Walker (Senior Contracts Manager) from KDH Projects Glasgow Office (Stewart@kdhprojects.co.uk) was in attendance and exhibiting at the Scottish Baker Annual conference & award Ceremony weekend held on the 4th and 5th May at the Crowne Plaza Hotel Glasgow. 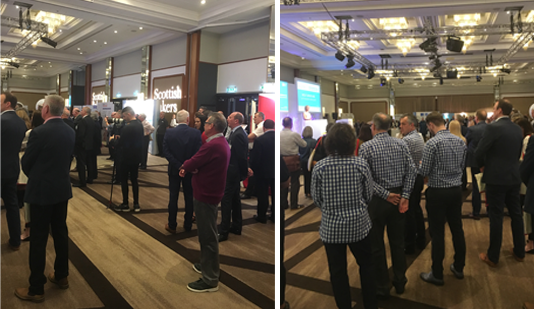 KDH Projects have invested in the development, of its trades and working practices to provide the support and service needed and expected by the food and drink industry here in Scotland. From working with small independents to large manufactures creating tailor made solutions with passion and integrity on cold stores, clean rooms & freezers ,resin flooring stainless steel kerbs and drainage. 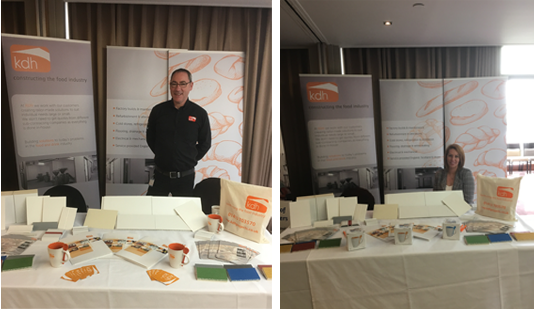 The Scottish Baker conference and awards weekend was a great opportunity for KDH projects to catch up with old friends and cement to new ones. The conference weekends proceeding’s comprised of talks by Mich Turner MBE and guest host, Alasdair Smith, Chief Executive Scottish Bakers, Craig McPhie Scottish Baker President, Mike Tully Group CEO Bako North Western Group, Ruth Davison – MSP Leader of the Conservative Party and Lord Digby Brown. Stewart walker attended the Saturday evening’s Black-Tie Gala evening including the Scottish Baker awards 2018 ceremony. The Scottish Baker of the Year Competition helps raise the profile of the sector, which drives customer engagement and celebrates the best of Scotland’s bakers. KDH Projects as a member highly privilege to support this prestigious event. Brownings the Bakers of Kilmarnock were crowned Scottish Baker of the year 2018. And they won a Regional Bronze award for their Fruit scone, category sponsored by Fleming Howden.